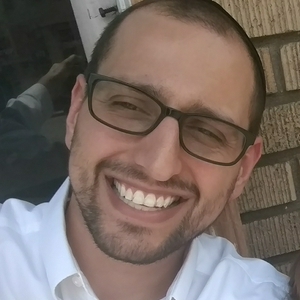 Welcome to Digital Marketing Life hosted by digital marketer, speaker, instructor and entrepreneur Noah Omri Levin giving you access to the real life experiences, challenges and triumphs of the incredible people across our industry. On this podcast you'll hear a mix of Noah interviewing people across our industry, speaking at events, coaching his digital media team members and more. Whether you're an in-house digital marketer, on the agency-side, or looking to break into the digital marketing industry, this was built for you. This is an episode I have been really excited about, especially for those of you that are looking to break into the digital marketing industry. This week I had the pleasure of sitting down with the incredibly talented Ashley Spotts of Search Discovery. Ashley was a hidden gem when we discovered her. She was working for a Consumer Packaged Goods company in Atlanta but clearly had a mind for business, a passion for loyalty and hard work and a determination to find a career path she enjoyed. I've learned so much from working with Ashley and I know you will too. This week I am excited to share with you, how we launched Kayla's podcast for FirstYearMarried.com and the incredible results she's already getting from it. This week I had the honor of sitting down with someone who brightens up every room she walks into. She is a powerhouse because she is not only an extremely talented marketing machine but also a deeply reflective and impressively emotionally intelligent human. We talk about her super-human ability to be positive in the face of fire-breathing dragon-like personalities. We talk about women in technology and how she found herself becoming a leading force on the topic at VaynerMedia. We also talk through having a vision for our careers in the digital marketing industry. I really think you'll love this one, she's magnetic. Doug Colson was an extremely talented digital marketer. He was a great team player and always went above and beyond both in his own work and in his patience for training others. But while Doug was excited about the growth of the company, he struggled internally to feel fulfilled. His story teaches us that enabling people to thrive sometimes means they need to go somewhere else. This is a story you do not want to miss. This episode is all about the life of the Managing Director of Definition 6, Jason Rockman. We start of with his journey and how Jason's grit, his taking on ownership and responsibility got him to where he is today. Then we tackle a bunch of great topics we're dealing with as Digital Marketers including: Why you would partner, outsource or build capabilities in house, the importance of clarity and direction, holding companies vs independent agencies and we even get into the considerations someone new coming into the industry should consider. Listen to an event co-hosted by General Assembly and Women in Technology of Atlanta that I helped put together. It was an honor to be a part of as well as enlightening and inspiring. Due to audio quality and other issues I am only able to share parts of the session. Also, given the sensitivity of the topics of inclusion and diversity I don't claim to endorse or condemn any views shared but wanted you to have the full audio so you could experience the event for yourselves. Lisa speaks on her experience being coached through some serious Imposter Syndrome after being invited as a guest on a client's podcast. A quick run down of what I was planning to do on July 4th, what I'm actually doing and how I feel about it. Tori pulls Noah aside for a one on one to discuss how she can leverage self awareness and empathy to be more effective in telling the story around attributing value for her account based marketing campaign. 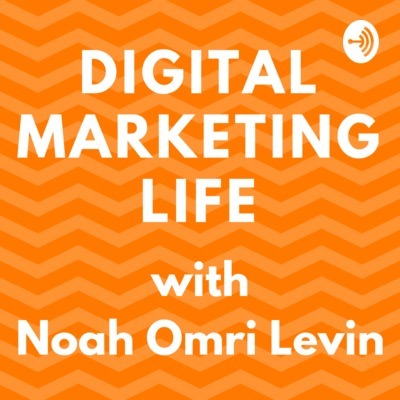 This is the very first episode of #DigitalMarketingLife with Noah Omri Levin. He talks about mental health and starting our days off on the right foot.